When welders can’t make out all of the details of a weldment, or distinguish colors through the auto-darkening filter of a welding shield, it can make welding more challenging. To give welders superior visibility in dark and light states, 3M, St. Paul, MN, has introduced the Speedglas auto-darkening filter (ADF) kit, Model 9100XXi. The next-generation optics in the 9100XXi ADF, compared to previous models, reportedly provide more detail, contrast and natural-looking color. Complementing the filter’s more realistic view is an external grinding feature that enables welders to seamlessly switch into grinding mode. 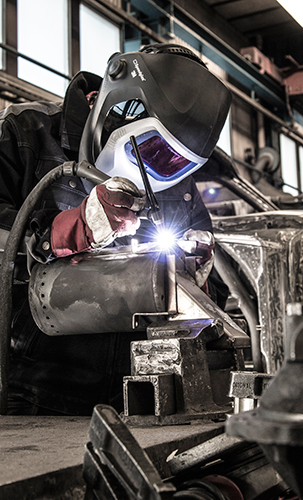 Welders also can access two preset welding modes by pushing the external button on the helmet’s front panel, without having to remove their safety gloves or helmet. In addition, welders can leverage a grab-and-go feature that automatically turns the welding filter on to the last setting.